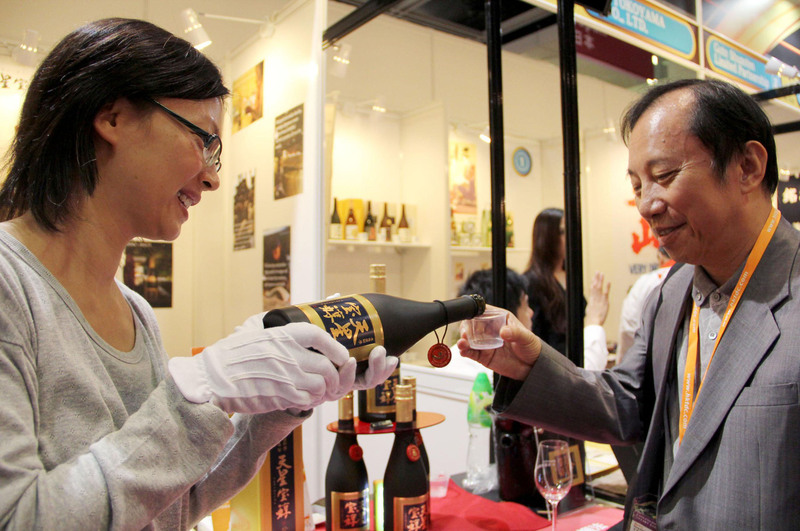 HONG KONG - Nine makers of “shochu” distilled liquor in Kagoshima Prefecture are pitching their products to a wider range of consumers in Asia, with their focus on the international liquor fair now under way in Hong Kong. 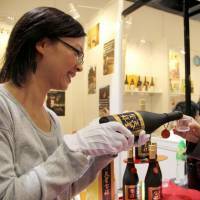 Tensei Shuzo, which has already been marketing its shochu in Shanghai, joined the trade fair in an attempt to expand its customer base to Hong Kong. “We would like to pry open the market for ‘baiju’ (Chinese distilled rice wine) and grab a share for shochu,” a company official said at the fair. A visitor who tried out some shochu said people in Hong Kong will probably like its taste, adding it has business potential. Satsumamuso, another Kagoshima shochu maker taking part, said it is not necessarily sticking to the conventional ways of enjoying the liquor. The firm is offering variations at the fair, such as stirring cocktails with shochu as an ingredient to gauge people’s response.